The Ringer – "The Mavericks’ Wonder Years Are Here"
"Creating offense so far from the basket flattens differences in speed and quickness between the best players. Steph Curry and James Harden aren’t equal to Russell Westbrook athletically, but they are harder to defend because they have to be picked up almost as soon as they cross half court. When Kukoc came to the NBA in 1993, three years after being drafted in the second round, teams’ embrace of the 3-point shot was still in its infancy and most of the game was played in the narrow confines of the paint. Illegal defense rules prevented teams from crowding the lane with extra defenders, so offenses were designed to create one-on-one opportunities for big men who could carve out room for themselves as close to the basket as possible. Doncic, unlike Kukoc, will not be playing in the triangle. Being traded to Dallas is the best thing that could have happened to him. He’s a perfect fit for the multiple-ball-handler offense used by Mavs head coach Rick Carlisle, one of the first coaches to embrace the importance of spreading the floor and having as many playmakers on the court as possible. Carlisle likes to play two point guards together, and he’s been known to play three at a time, even at the cost of having a 6-foot-3 guard like Devin Harris at the 3. 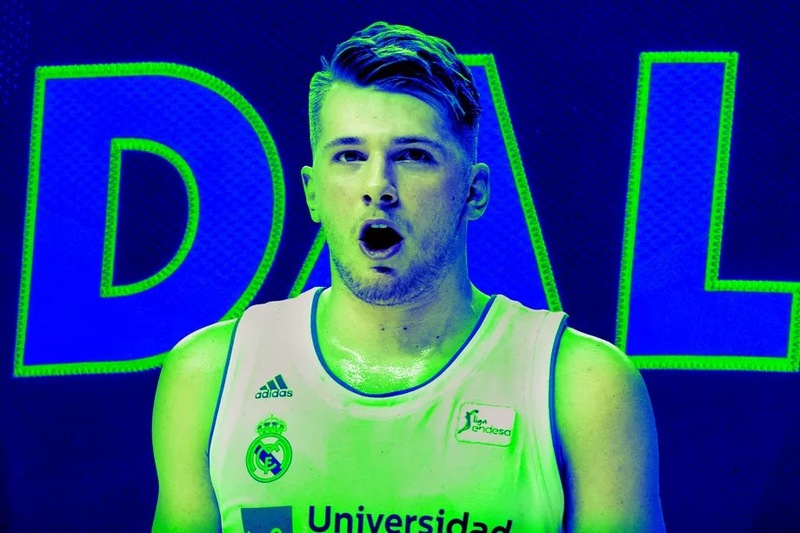 Doncic is the best of both worlds because he can handle that type of offensive responsibility from the forward positions without compromising the defense in the same way."